CDBurnerXP – a program used to record the CD, DVD, Audio CD and Video CD, as well as any known image formats. Supports Blu-Ray and HD-DVD recording. There are opportunities to work with different types of media data, external recorders with any connection type and a powerful system of protection against deterioration of poor-quality discs. Recording result is usually somewhat higher quality than that of Nero and Roxio products. Confirmed by tests. There is a Russian interface. Converter bin / nrg ISO, simple cover printing and much more! Aimersoft DVD Creator serves as the most professional DVD Burning Software which lets you burn videos to DVD easily from all popular video formats, including MP4, AVI, WMV, MKV, MOV, M2TS, TP, etc. Additional video editing features allow you to edit videos before burning. Various delicate DVD menu styles and transition effects allow you to create the most personalized DVDs. 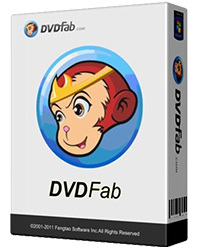 Create DVDs from MP4, AVI, MKV, WMV, MOV, MPEG, etc. Edit videos – trim, crop, adjust effect, add watermark, etc. Burn DVDs with various DVD menu styles and transitions effects. 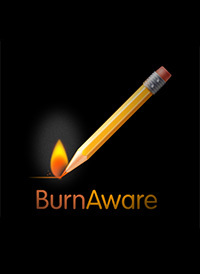 Burn and output to DVD disc, ISO Image File or DVD Folder. Support various regular and HD video formats. 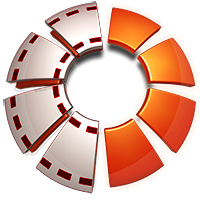 Regular Video Formats: MP4, AVI, MKV, WMV, MOV, MPG, MPEG, TOD, MOD, VOB, 3GP, FLV, RMVB, RM, DAT, ASF. HD Video Formats: MTS/M2TS/TS/TP/TRP (AVHD H.264, VC-1, MPEG-2 HD), HD AVI (VC-1, MPEG-4), HD WMV (VC-1, WMV HD), HD MKV (H.264), HD MOV (H.264), HD MPG (MPEG-2 HD), HD MP4 (H.264, Xvid). Burn and output to different options. With DVD Creator, you can burn videos to DVD disc, create DVD Folder or simply produce ISO image file to burn DVDs later. DVD-Cloner is a top-class one-click solution to make 1:1 DVD copy with perfect quality. The innovative SRT™ supports for copying your latest DVD movies with much higher speed. DVD-Cloner is compatible with Windows 10 and Windows 8.1. It enables you to copy DVDs with various encryptions to a blank DVD disc/DVD movie folder/ISO image file and vice versa. 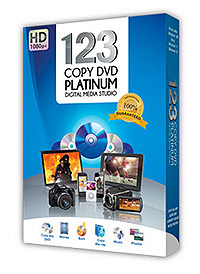 123 Copy DVD Platinum is your hi-def digital media solution that’s fully loaded with all the features you need. Preserve and share any Blu-ray, DVD, or download media with any device. 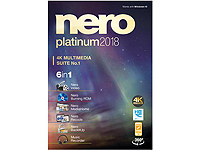 123 Copy DVD Platinum comes standard with Ultra 4K HD capability, full intel support for enhanced multi-threading, and support cloud streaming to any of your devices. 123CopyDVD Platinum can copy and convert your Blu-ray favorites. Watch full HD versions in stunning quality and take full advantage of high resolution dislays on iPad and Android. Capture and burn your favorite internet videos and media from popular websites. Make 1:1 copies of your movie library and burn your own DVDs from download movies and personal video files. Handy tool for burning and mastering CD, DVD and Blu-ray media. Astroburn Pro allows you to perform burning, copying, erasing operations with all types of optical storage media: CD-R/RW, DVD-R/RW, DVD+R/RW, BD-R/RE and DVD-RAM. The program also works with a wide variety of burning hardware.With Astroburn Pro you can easily grab original discs to create image files and save them on your hard drive or compile disc images with the data or audio projects.Create CDs and DVDs with just a few mouse clicks. It’s easy to learn and to use. Incorporating an advanced disc burning engine with a military-grade encryption algorithm, Power2Go has earned the trust of leading PC and burner manufacturers worldwide. Power2Go also delivers advanced media conversion for music and video files, covering the broadest range of device and media player profiles. With integration with Facebook, Flickr, YouTube & Vimeo, you can effortlessly download, convert, and back up your social media content, or your most treasured videos. Power2Go’s advanced burning engine makes it a snap to burn CDs, DVDs and Blu-ray discs — even the latest 128GB BDXL discs. Duplicate CDs, unprotected DVDs and Blu-ray discs by burning 1:1 copies of your discs. Save a copy of a disc to your hard drive as a disc image and later burn the images back to disc. Create personal compilations with drag-and-drop ease with the Desktop Burning Gadget. Choose the kind of disc you want to burn, and then drag files, folders, discs, music or video onto the gadget.